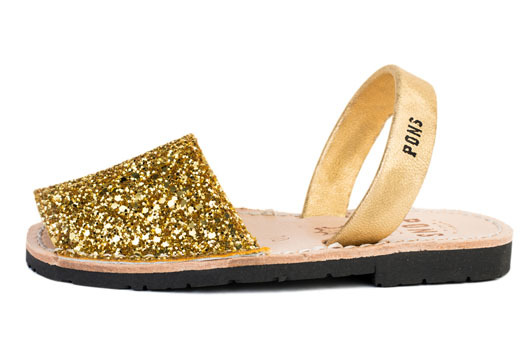 All that glitters is gold; or at least all of these sparkling gold sandals! 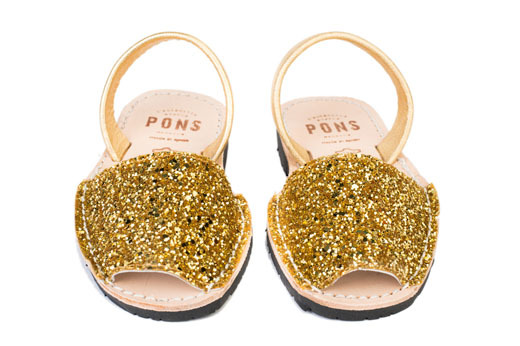 Our Classic Style Pons for kids in Gold glitter bring sparkle to a party or brighten up any day of the week. Handmade in Menorca, Spain, our Kids Classic avarcas are produced with all natural leather, have an adjustable velcro ankle strap, and a lightweight rubber sole.